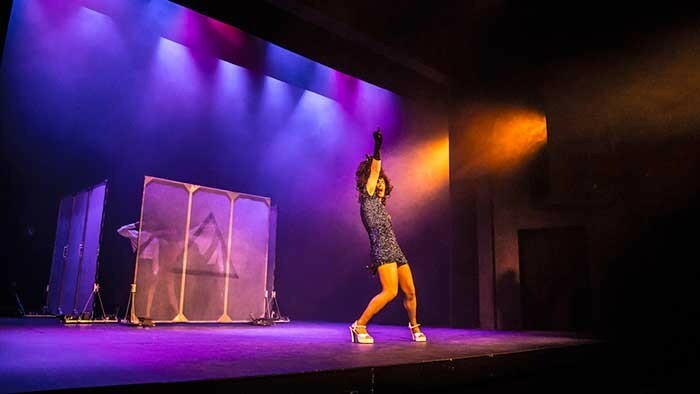 The Cambridge University American Stage Tour (CAST) is the largest and most prestigious international touring theatre show from Cambridge University, now in its fourteenth year. Each year, a company of Cambridge’s most talented directors, producers, actors and technicians bring one of Shakespeare’s plays to Ivy League universities, high schools and professional theatres across the east coast of America. Le Maitre was delighted to provide an MVS Hazer for the tour. This year CAST attempted to present a highly stylized and timeless version of Measure for Measure, one of Shakespeare’s problem plays. 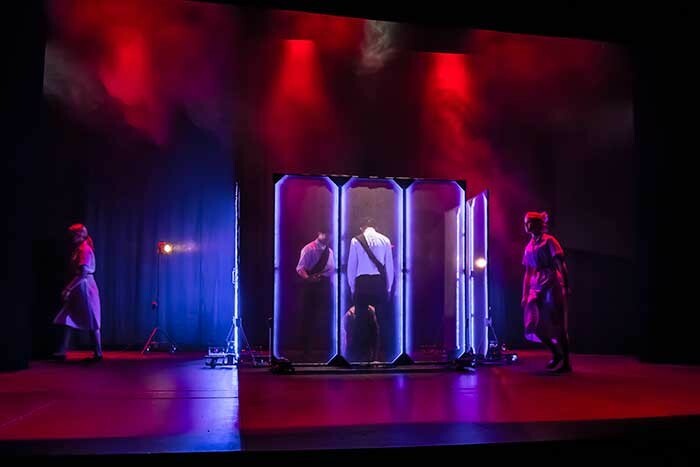 Faced with restrictions on set size, governed by the weight limits of luggage on the flight over, they chose to create a minimalist but highlight adaptive set, consisting primarily of three trucking gauze screens which were inlaid with LED strips controlled through Wireless DMX. The movement of these screens helped to separate and define the space and was complemented by stark lighting contrasts, which sought to differentiate tone and place. The staging was further added to with the Le Maitre MVS Hazer, which provided high definition to the aerial light beams. The tour ran for three weeks and visited towns including Nashville, Columbia, Washington, Rochester, Erie, New York, Providence, and Cambridge.